Congrats to the 2018 GG Finalists! Congratulations to all of the 2018 Governor General’s Literary Awards finalists! We’re especially thrilled to see books from so many WCA authors make it this far. Botticelli in the Fire & Sunday in Sodom by Jordan Tannahill in the category of Drama. Mamaskatch by Darrel J. McLeod in the category of Non-Fiction. 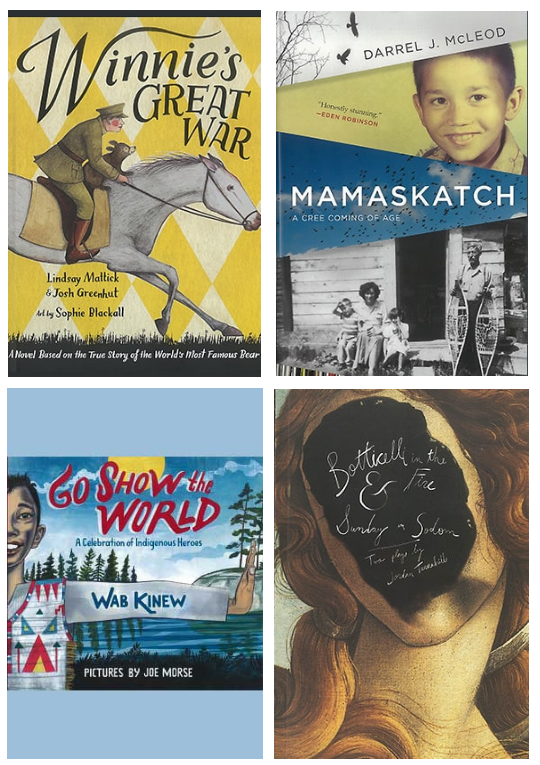 Winnie’s Great War by Lindsay Mattick and Josh Greenhut, illustrated by Sophie Blackall in the category of Young People’s Literature. Go Show the World by Wab Kinew, illustrated by Joe Morse in the category of Young People’s Literature – Illustrated Books.